Buttons, spoons, needles and thread, pens, papers, clothes pegs and jam jars – all of these things have become troublesome in recent weeks. I find them all a little less responsive to my touch; vaguely unhelpful, occasionally disobedient. I suspect they are silent conspirators in a domestic mutiny; collaborating when I am out of the room, and synchronising their misbehaviour to heighten my frustration as I move from one task to the next. For inanimate objects they seem alarmingly coordinated! Insurgent implements, a coup in the cutlery drawer, seditious stationary! I’m more than a little daunted; my power over them is weakening. I’m losing my grip! But I do have a safe haven, one sure place where little has changed. My hideaway is the workshop. And I love it! Projects in the shed have been my delight and indulgence and recreation for many years. I never feel as relaxed or absorbed as when I am creating. Admittedly, I have made a few adjustments: a chair in front of a small, low table now substitutes for my much-loved bench; several battery tools have replaced the big old power tools, I have a smaller, sharper handsaw; and – it must be said – much smaller projects. 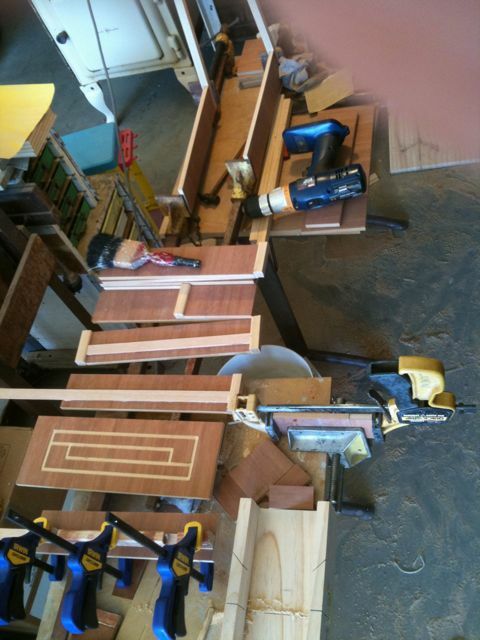 The workbench is a microcosm of life, demanding patience, vision, commitment and faithfulness. Measure twice, cut once is an axiom I fully endorse, but one that seems inadequate to prevent regular encounters with inaccuracy an even innumeracy. But I get there in the end! Carpentry is not a race for the swift, where the start is everything. No, carpentry is definitely the art of finishing well. And some of my creations aren’t too dusty at all! 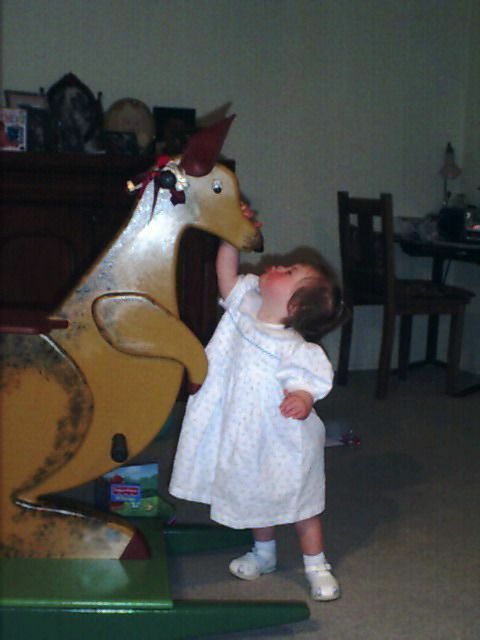 My daughters and I once made a very fine Rocking Kangaroo – an Aussie take on a traditional design – soon after the arrival of our last and littlest. Another time we made a rather grand fish tank out of heavy, salvaged glass, which became the talking piece of our home for some years. The current excursion in the workshop involves a lustrous pile of Red Gum from a local joinery, out of which I am making a ‘Surprise Box’ for each of my children. Six copies of a locked treasure chest we have kept near our dining table through most of our family’s years; and from which various surprises (some valuable, some as trifling as motel shampoo bottles and airline cutlery!) have been produced at meal times, to the great delight of all ages. I dream of many grandchildren around many tables, eyes wide in anticipation! The project is going slowly, but it is immensely enjoyable, and every hour spent on it has the flavour of prophecy. My workshop is paradise. I am surrounded by familiar cabinets and drawers, some of which I know from my childhood, handed down from my Father whose trade I followed. They are stocked with some of my best and oldest friends, hand tools whose weight and balance evoke a heritage of permanence. One set of shelves is almost archaeological: more than 40 years ago I was putting my raincoat and lunchbox on them in Kindergarten. I can make out the outline of the animal plaques that once identified each toddler, long before they somehow found their way to my Dad’s garage. Roller doors open onto a stunning view of the high, glorious hills opposite our home. Lightly timbered, verdant green, dotted with kangaroos and occasional cattle; these hills become the snowy Victorian Alps if you follow them another hour or so south. Birdsong and fresh air roll down their slopes. My workshop is a pretty special place! It’s in the shed that I feel most at home. None of my hand tools are in rebellion, and the timber I work with is cooperative – not like the recalcitrant bread, paper and cotton that lurk inside the house! It might simply be that these are the tasks for which my hands have had most training, and so remain most secure. Years as a carpenter may be yielding their fruit. Or, it may be that the tools and materials in my workshop are just more substantial (and manly!) than those in the house, and require less finesse. I really don’t know. Now, without completely surrendering to paranoia, I have a growing apprehension. What if the loyal workshop cohort catches wind of the mutinous state of affairs inside the house? Could insurrection possibly migrate from the draining rack to the tool box? What if the rot spreads? This place is a sanctum: the workshop, my tools, the sawdust, the bench, they form a holy preserve. Surely my plans and hopes are safe in this quiet little corner of the world. Well …. I’ll keep you posted. Thankfully whatever happens next there is Another Carpenter in our world; one who doesn’t make mistakes, who measures once and cuts once, every time! He finishes every job, He never forgets, His eye is true and His Grip secure. 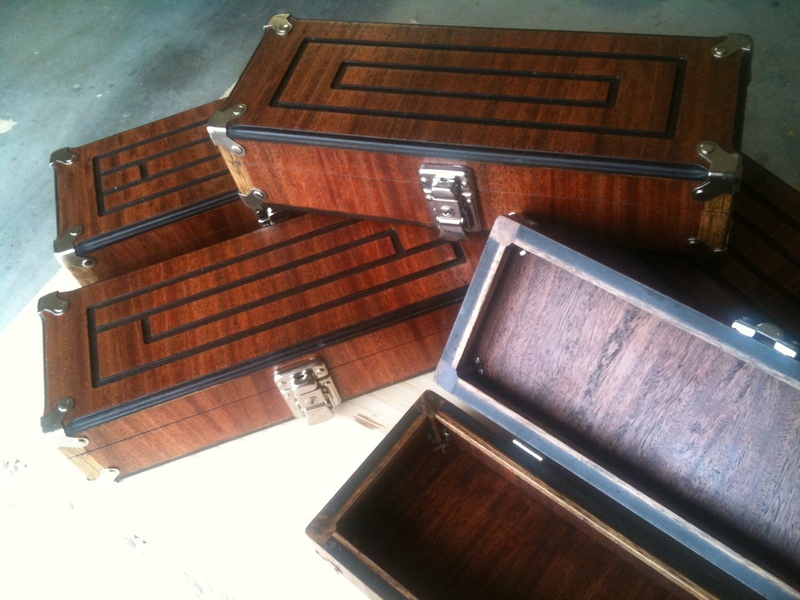 Surprise Boxes, ready to wrap for Christmas. WOW Rod, you inspire me. Todays message at North Gate was one of passion and i didn’t find one thing annoying about you! I didn’t even look:-) I just marvelled at how relaxed you seemed and that you share the word so naturally and it hits right where the Holy Spirit intended to in each heart. Thank you for sharing your journey. You are an awesome Man of God and I feel very privileged to have you a part of my journey of life.